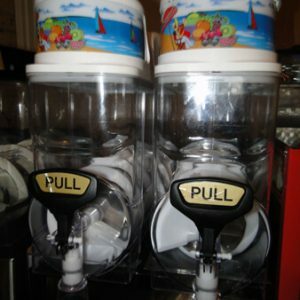 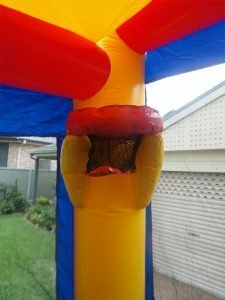 Are you feeling the heat this summer? Make your party or event a little cooler this year buy setting up a wet and wild water slide for your kids to play on! 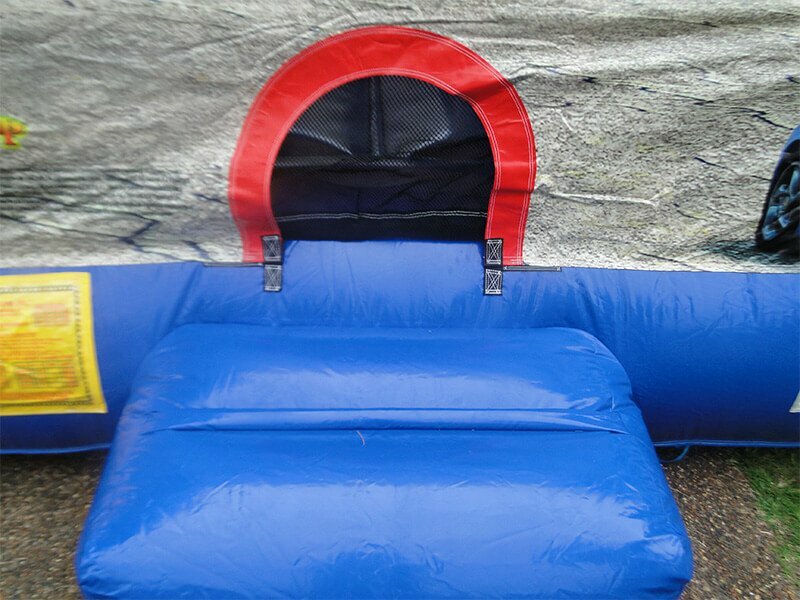 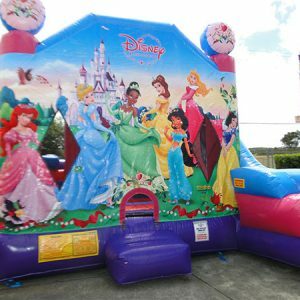 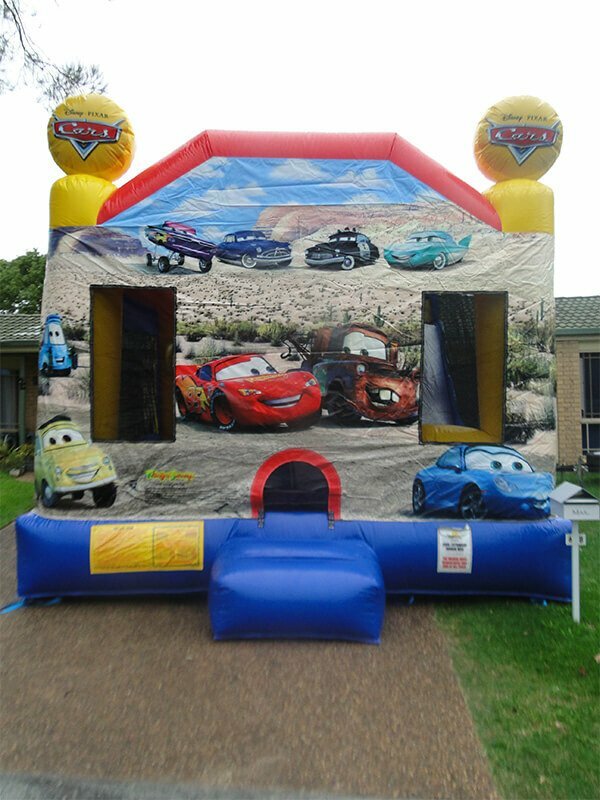 All the kids at your party will zoom down the slide inside our Cars Jumping Castle hire faster than Lightening McQueen! 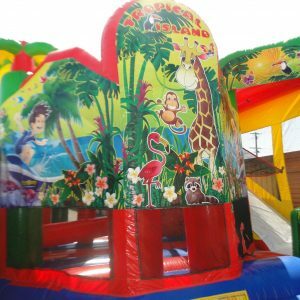 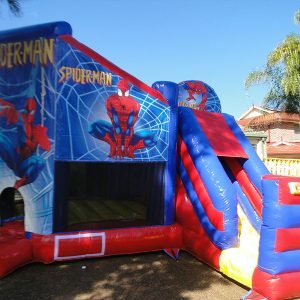 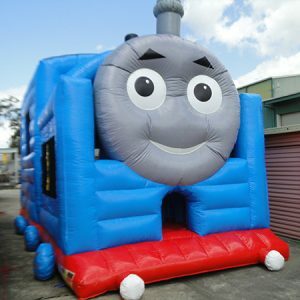 This new combo inflatable bouncy castle comes with lots of features and is sure to be one of the biggest hits at your next event. 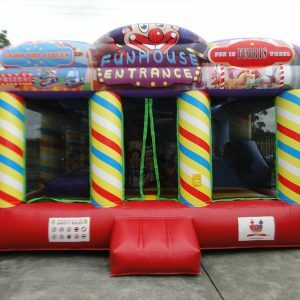 Every boy and girl can join the race in a safe and secure play area all afternoon, and there’s plenty of fun to be had by all. 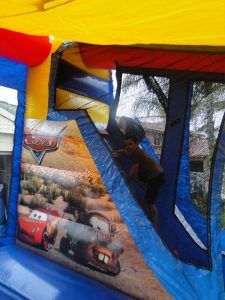 From shooting some hoops to racing around the slide, they will love having this cars jumping castle to play in. 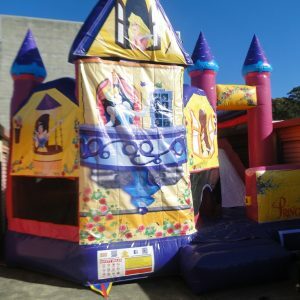 As one of our newest items, this castle has been a hit since it was first added to the catalog, and with the features inside its not hard to see why!